To access the browser-based utility, launch the web browser on your computer, and enter the Router's default Internet Protocol (IP) address, 192.168.1.1. A login screen will appear. Leave the Username field blank. Then enter the password you set up during the setup software. 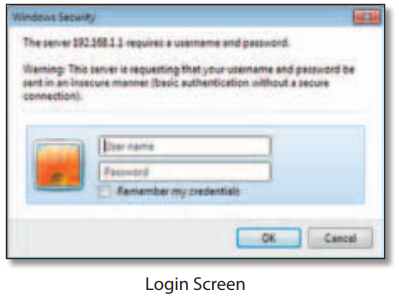 (If you did not run the setup software, then use the default password, admin. The first screen that appears is the Basic Setup screen. This allows you to change the Router's general settings. If the above username/password doesn't work then try these most popular combinations that usually work for Linksys Router models. Still stuck? If you still can't log into your device, then your device needs to be RESET. Once you RESET, leave the username blank & password as "admin". These setup & configuration manuals for Linksys are the solution for all your router related problems. Just click on your model to see (and download in PDF) the setup guides for all popular Linksys models. 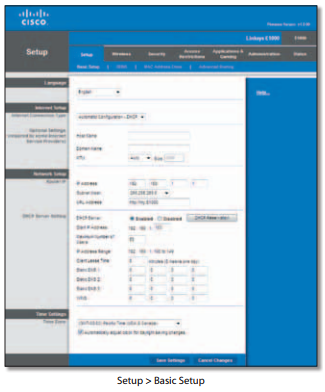 View all Linksys models manuals. Following are the most common problems faced by users of Linksys routers. Your computer cannot connect to the Internet. Check the cable connections. The computer should be connected to one of the ports numbered 1-4 on the Router, and the modem must be connected to the Internet port on the Router. You want to access the browser-based utility from Cisco Connect. Write down the username and password that are displayed. (To help protect your password, you can copy it to the Clipboard by clicking Copy password). Your web browser automatically opens. Enter the username and password, and then click OK. (If you copied the password to the Clipboard in step 4, press Ctrl-V to paste it into the Password field). When you try to log into the browser-based utility, your password does not work. The Password is displayed on the left side of the screen. These companies are competitor of Linksys & also provide great products. http://19216811.live/linksys-login 4.8 / 5 based on 8 votes.